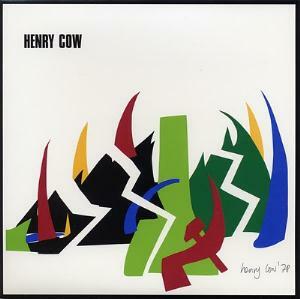 Western Culture was Henry Cow's farewell album, recorded after a protracted break during which they had become independent from Virgin Records, Chris Cutler had laid the foundations for what were to become Rock In Opposition and Recommended Records and they'd already decided to split. Much of the material which was to become the first Art Bears album had already been recorded before the band decided that the material wasn't 'Henry Cow', although the closing track 'Half The Sky' came from these sessions. With all this turmoil it's surprising that an album was made at all, and in a way it's ironic that this least showbizzy of bands should have followed the old showbiz maxim 'save the best till last'. Western Culture is Henry Cow's most coherent album - the only one to feature only composed pieces, the only purely instumental album and the album on which Lindsay Cooper emerged as a talented composer in her own right, as well as a great musician. In creative terms, the album is a 50/50 split between Tim Hodgkinson, who wrote tracks 1 - 3 (side 1 of the vinyl original) and Lindsay Cooper (who wrote or co-wrote the remainder). Hodgkinson's pieces on side 1 really blend into a seamless whole - brass and reeds play a prominent part here, with relatively little electric guitar but with acoustic guitar featuring prominently for the first time on a Henry Cow album. Special mention should be made of guest musician Anne Marie Roelofs, a Dutch musician who had played with them on stage, and who added some warm, blurry trombone lines to complement Cooper's bassoon - her playing is particularly effective on 'Industry' and 'The Decay Of Cities'. These compositions are a continuation of the compositional style first heard on 'Living In The Heart Of The Beast', with more of a jazz element (perhaps as a result of HC's work with the Mike Westbrook Orchestra and the Art Ensemble Of Chicago). They evoke a decaying urban landscape, with the closing piece 'On The Raft' giving a more optimistic tone with huge brass/reed chords played over a lazy tempo, the whole never quite settling into the comfortable orthodoxy that seems to be promised. Lindsay Cooper's compositions are a more diverse selection, drawing on contemporary classical and avant garde influences. 'Falling Away' is probably the track that is closest to the avant rock style normally associated with Henry Cow. 'Gretel's Tale' features an astonishing piano contribution by Irene Schweizer, almost like John Cage plying free jazz. 'Half The Sky' takes its title from a famous quotation from Chairman Mao, also cited by John Lennon on 'Woman' a couple of years later - appropriate for a musician who would go on to be a key player in the Feminis Improvising Group. The key players in Henry Cow continued to work together in various configurations over the years, and released a lot of fine music and exerted a massive influence on the more left field aspects of progressive rock. Odd tracks have since emerged on compilations, but there have been no reunion tours and no 'greatest hits'. Their final press release said that they would not be trapped into reproducing their past in order to secure their future, and they have been as good as thir word. Western Culture is a fitting end to a remarkable career, and is an essential album of its genre.